Love Letters invites the viewer to write a letter to someone she loves. The incentive is that pre-stamped envelopes are provided for any letters written. 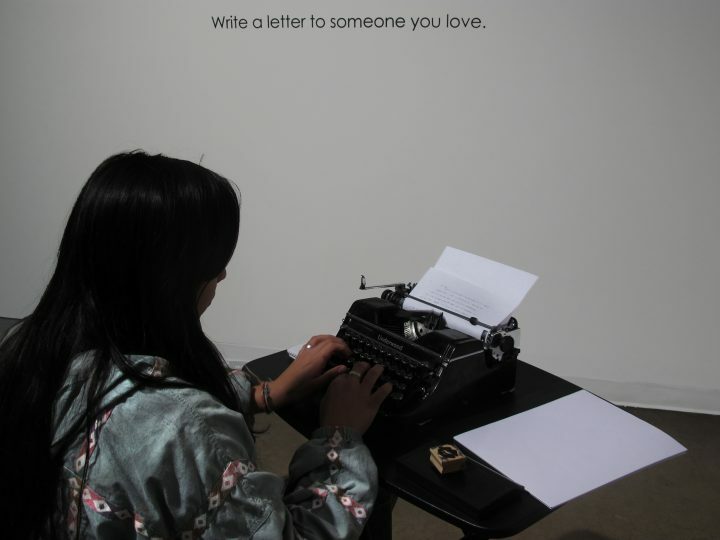 Participants are given the opportunity to deeply consider their feelings and words as they use a typewriter to share their love. 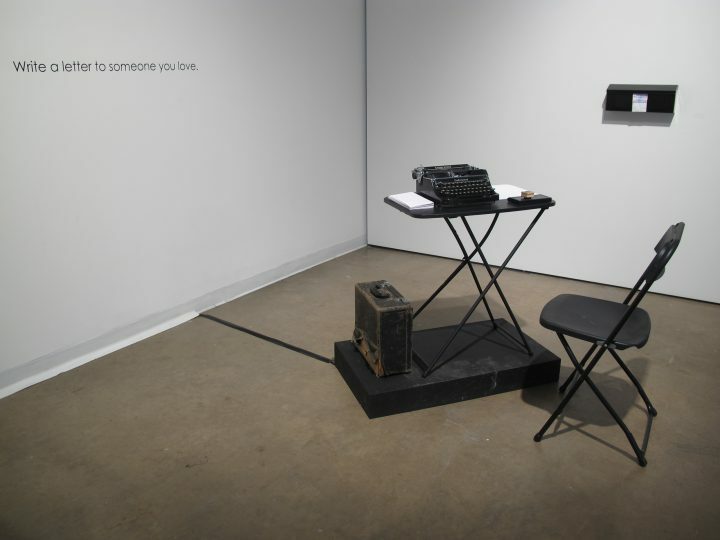 Unbeknownst to the participant, while being written, the messages are projected into a satellite space for viewers to witness. Those witnessing the projection in the satellite space are unaware where the projected text is derived. The projection aims to impress these loving words into the viewers where they become contagious, spreading thoughts of love to a greater audience much like a song on the radio infecting the listener.